The trade finalized today by the Cav’s, T’Wolves, and 76er’s has league shifting implications. Even better every team involved obtained what they wanted. It can be said there was no losers. The Cav’s traded for Kevin Love by giving up Andrew Wiggins and Anthony Bennet to the T’Wolves and sending a first rounder via Miami to Philly. The deal can be seen as immediately vaulting the Cavs into the drivers seat in the East. Le’bron may have been going home but he has arguably a better team than in Miami. The two things I love is that Lebron is no longer going to have to guard centers ever. He has Varejo, Thompson, and Love in the front court to ease the body usage down low. Also unlike in Miami Lebron has a legit PG to play with. Thats no disrespect to Mario Chalmers and Norris Cole but Kyrie is a much better player. The Cav’s now posses limitless potential on offense. Their only problem will be on defense and buckling down on that side of the ball. Even with losing huge potential in the long run with Wiggins and Bennent the Cav’s are an instant legit contender. Minnesota now has huge potential with the trade. Wiggins like Jabari Parker seems on board to build with the teams they play for and this could turn out well for the NBA in the long run. The T’Wolves already have Ricky Rubio, Kevin Martin, and Nikola Pekovic on their roster. Now add in Zach LaVine, Thaddeus Young, Wiggins, and Bennett that is a solid looking team in a few years if everyone pans out. Even really a team with that kind of talent could compete for a championship with that kind of talent. It may seem unrealstic but the possibility is there. The talent is there it all comes down to development and team building. The group of players could be a scary one in a few years. How can we forget the 76er’s who seem to know exactly what they are doing. They traded away their best player for Luc Mbah a Moute, Alexey Shved, and another all important 1st round draft pick. Moute can help Joel Embiid transition to the NBA as both are from Cameroon and the 1st rounder is key. The 76ers have tanked so hard and have acquired a wealth of young talent. With two first rounders next year and one looking to be a top three pick the 76ers are setting themselves up to turn the corner starting in 2016. With a group of high draft picks the 76ers can become a force to be reckon with if everyone pans out and that could be the case. The trade at the end of the day seems to benefit every team in the ways they wanted/needed. The T’Wolves needed to get something for Love and they got exactly what they wanted. The Cav’s are going to compete for years to come at a very high level. The 76ers got worse which for some reason means they got better? Only time will tell. Rules 6-10 are a little more of a preference. To see rules 1-5 click here. But 10 is a must, it should be number 1 but it fits at the end. Like Boomer would say, Read ’em and weep. The MLB’s reputation has been questionable at best due to some PED investigations that some say ruined the way people view baseball and it’s athletes. When someone has a standout year the first thing that pops into a fans head is steroids. 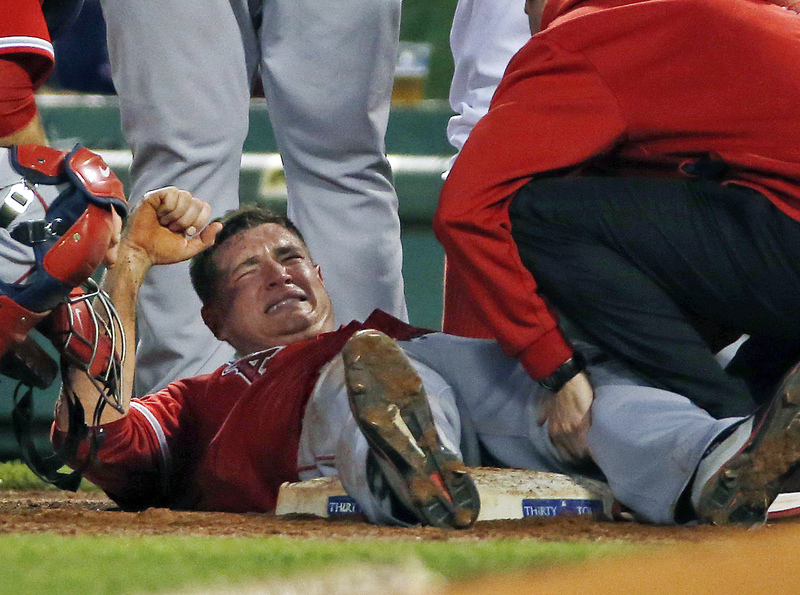 PED abuse isn’t the only problem fans have with the game. The game is to damn slow! Who has time to go watch a slow paced game for more than 3 hours…. no one, and the numbers don’t lie. 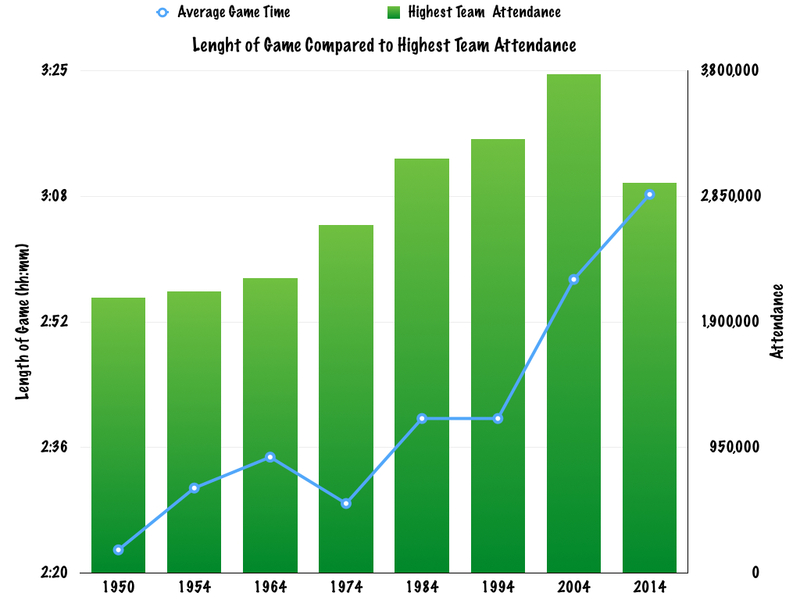 In the last 10 years, as the length of the game drastically increased the highest team’s attendance did the opposite. Hummm, interesting. Maybe a new commissioner could be the best thing for Major League Baseball. 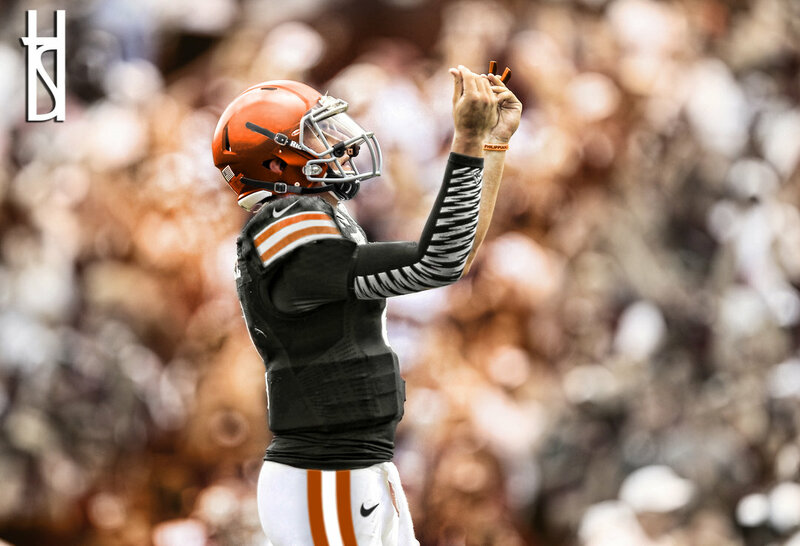 Johnny Football should be the starting quarterback of the Browns without any question. He performed better in the preseason stats compared to Brian Hoyer. But even deeper than stats is common sense. Hoyer is a five-year veteran while Manziel is rookie. Hoyer might have played good in the limited time he was the starter last year but it wasn’t a large enough sample size for some. Matt Flynn had one great game for the Packers and signed a huge deal with the Seahawks only to be beaten out by rookie Russell Wilson. Fall camp is just around the corner in the college football world, and teams across the country will try to identify new starters throughout the month of August in preparation for their season openers. Some camp battles are more important than others, as they could play a huge factor in the race for College Football Playoff tickets. Undoubtedly, the biggest opening that needs to be filled this summer is Alabama quarterback, as the Crimson Tide are a perennial threat to grab College Football Playoff tickets. Most assume the job has already gone to Florida State transfer Jacob Coker, who only arrived on campus this summer. However, despite the expectation that Coker will be immediately ready to step into McCarron’s shoes, Saban and offensive coordinator Lane Kiffin will give senior Blake Sims a fair chance to upset the newcomer. Across the state of Alabama, Auburn must find a replacement for promising DE Carl Lawson, who will miss most of the fall, if not the entire season, after injuring his knee during spring practice. Sophomore Elijah Daniel and junior college transfer DaVonte Lambert look like good pass rushing options, but the team could also use DTs Gabe Wright and Montravius Adams on the edge as well. In Big Ten country, the Ohio State Buckeyes have to go about replacing All-American running back Carlos Hyde. With Braxton Miller’s health at a premium in 2014 as the Buckeyes hope to snag College Football Playoff tickets, it will be imperative for Urban Meyer and staff to identify at least one workhorse back to take the rushing load off their star quarterback. Ezekiel Elliott has the requisite size to handle a larger workload, and should be first in line to replace Hyde. Slotback Dontre Wilson is more of a multipurpose threat than true tailback, but should see his carries total climb as well. The Oregon Ducks have many of the ingredients to contend for College Football Playoff tickets, but wide receiver could be the lone sore spot on the roster. Explosive junior Bralon Addison was lost for the year during spring ball, leaving the Ducks very inexperienced out wide. One player to keep an eye on is redshirt freshman Devon Allen, who just won the NCAA 110 meter hurdle title, as he clearly has speed to burn. What is More Important, LA or a Global Game? One of the proposed stadiums for a new team in LA. Recent talks of getting the NFL in Los Angeles has me beginning to wonder if it really matters that the NFL is in LA. The NFL has a product that is not matched by any other professional sport. There are small market teams and large market teams and not only do small market teams contend with large market teams but they consistently win divisions and conferences over large market teams. 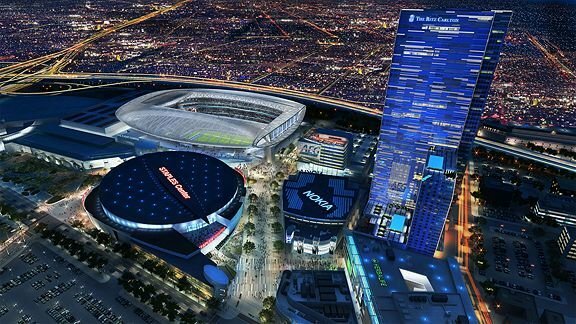 Plans to build the infrastructure in Los Angeles have been floating around for a while now and more recently a new stadium plan has been released in the midst of the recent push for LA. Building a stadium will either drawing a current team to Los Angeles or attract someone to start from scratch. The NFL has been considering the options of either moving a team such as the local and former LA team, the Raiders, or the team that will be going for sale soon, the Bills. The other option that they could possibly look at is to expand the NFL and create a new team in Los Angeles. If they were to add a team into the NFL they would have to expand elsewhere. London? Well Tiger Woods had a good round and finished -3, 3 off the lead at the moment. That doesn’t mean that he didn’t have some rough spots, and no I’m not talking about the two bogies on the first two holes. Can Tiger Break the Barrier? The worlds best golfers gather this week at Royal Liverpool for the sports oldest tournament and the biggest story is that Tiger will be competing in his first major since his back surgery 4 months ago. Tiger claims to be in good shape and ready to take on the field. Tiger Woods has been stuck at 14 and that may change this weekend, 14 majors that is. In his quest to chase Jack Nicklaus’s 18 major championships, Woods has never fallen behind in milestones to reach the goal in 14 years and if he fails to lift the Claret jug on Sunday, he will. That means that in Nicklaus’s 35 year he won The Open Championship as his 15th major win and Tiger (also in his 35th year) must win this weekend to stay on track. The last time The Open Championship was at Royal Liverpool was in 2006. Tiger Woods avoided nearly every deep walled fairway bunker and made very key puts to win his 11th major at the time, just two months after his father, Earl, passed away. Follow Blog The Backfield Press!! James Harden, Eric Gordon and Clint Capela each tallied 10 first-half points to pace Houston in Game 5.